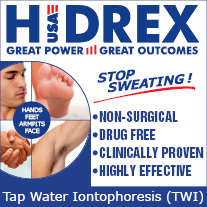 The Drionic Underarm Iontophoresis Device is an FDA authorized iontophoresis instrument used to treat hyperhidrosis or heavy sweating. The Drionic unit comes into two variants – hand/foot unit and an Underarm unit. Please consult your dermatologist for any questions relating to your use of Drionic or reimbursement from your health plan. 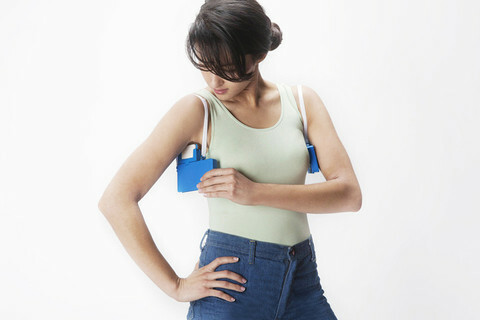 While the Drionic Underarm Iontophoresis Device is powered by 9V DC batteries, its converts the batteries DC power to AC. Drionic devices are easily available online (especially in US). You can conveniently get them home-delivered from Amazon, or from manufacturer directly. Have you tried Drionic Underarm Iontophoresis Device, or know someone who did? Let everyone know how did it go – please write a quick review on Drionic Underarm Iontophoresis Device by clicking the button below. I've tried this unit for a month now, while I see a slight decrease in sweating, it really hurts a lot and you should see how red my skin is after the treatments, I'm definitely returning this. If you are suffering from excessive foot sweating then you’ll probably have tried antiperspirants and other measures. But those first-line treatments deemed inefficient and you may need more invasive sweat reduction therapy.The first option is iontophoresis.This works by emerging your feet in water and exposing them to a mild electric current sweat glands are closed. This temporary effect results in less sweat being excreted to the outer skin of your feet.Iontophoresis works for a lot of people and has virtually no side effects. Some people may experience minor skin reactions including dryness, blisters, and itchy sensation or, initially, a mild rash. This treatment can be irritating or painful in case you have cuts or other wounds.It does not work for everyone. If you belong to those unlucky souls you may have to get botox injections or undergo surgery.If iontophoresis works for you, getting your own device will probably be more affordable in the long run.Drionic is the most affordable iontophoresis device available on the consumer market. It comes in two versions, a unit for hands and feet treatment and an underarm unit.What are its pros and cons? The most affordable. At $216 the Drionic is the least expensive device on the consumer market. Works for many people. 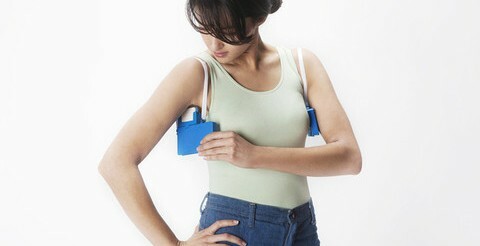 Iontophoresis sessions are the first line treatment for people who tried antiperspirants and other cures to no avail. Battery powered. Makes use of expensive, hard to get by batteries that don’t last very long. Some customers have batteries shipped over from the US. Poorly built. Its design could be improved upon. Especially the elevated mid part prevents you from submerging the middle of your feet and thus treating the whole surface of your foot soles and sides of your feet at once. Anyway, learning how to use Drionic was easy, and I had no trouble setting everything up. I followed the manual, and opted for longer treatments (about an hour) with a lower current setting. I had to use the lower current setting because iontophoresis turned out to be painful for me. I probably had small cuts on my skin (from depilation), but I couldn't easily locate where these, practically invisible cuts, were, so I couldn't apply petroleum accurately. The pain made treatments unpleasant, but I endured because the results were worth it. My advice: if you're using this, only shave your armpits when you need to. So, what happened is that I used this device to treat my armpits with iontophoresis, first every day for 45 minutes, and now every 5-7 days for 45 minutes at a time. This is actually pretty good and doesn't take all too much effort to keep excessive sweating under control. However, my complaint is that this was advertised as something that will keep the sweat away for "up to 6 weeks" after a single maintenance treatment. In my experience this was exaggerated. Maybe iontophoresis doesn't work perfectly for me? All in all, I am happy as it is - one treatment every week is still okay as long as it works! First to get my complaints out of the way: I get annoyed sometimes because my batteries seem to run out of power too quickly, and then if I did not order them on time, I have to stop with the treatments until the new ones arrive, which makes my sweating worse. Now moving on to the good stuff: this is a very simple, painless, easy-to-use way to get rid of sweat. I love it because usually I only need to endure one treatment every 5-10 days to keep my sweating under control. (I need more treatments when it's warmer.) It's a very clean method whose main side-effect is that it can irritate the skin, which happens to me only very rarely. Overall this works, and if it only had better or rechargeable batteries, Drionic would be perfect. Anyway, my sweating is completely under control now - this is like a super efficient antiperspirant. 🙂 I only wish I didn't have to buy new batteries every 2 months, but okay, the expense is still tolerable. Really effective as a sweat gland plug. Once I get my underarms properly ionized with frequent treatments, I can last for about 10 days without sweat in autumn/winter, and for about 4 days without (excessive) armpit sweat in summer/spring. No bad side effects; tingling can get unpleasant but is perfectly tolerable. Batteries typically last me 6-7 months, which is not so bad. Drionic's plastic is of dubious quality, which particularly showed on top clips (a.k.a. shoulder clips) which broke all too easily. They are not a crucial part of the machine so I didn't mind that much, but I guess that's why Drionic is one of the cheaper iontophoresis machines. Still, well worth the price you pay for it. First I had nearly a month of tiresome daily treatments, with Drionic's voltage maxed out. After every treatment I would hold towels soaked in cool chamomile tea under my armpits, and then used an Aloe Vera gel to stop the irritation. It was trying and uncomfortable, but everything worked out perfectly after that first month. Now I am having maintenance treatments only every 5 days, and because they are not so frequent, the pain is absent as well. Drionic was a nice way to soothe my sweating troubles. Before I had many problems with excessive sweating, my underarms were always wet and the sweat stains would spread round and round, making huge, horrible stains on my clothes. When I got this I hoped to get rid of sweating for good, but after a month, I unfortunately have to say that my underarms still sweat. 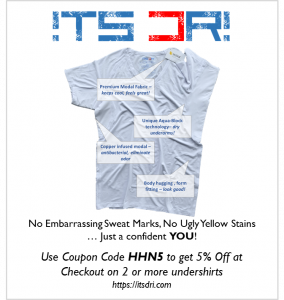 Luckily this sweat is not as bad as before; there are no more awkward stains as I sweat a lot less. Drionic somehow managed to block my sweating in the very middle of my underarms, but the wider underarm area still sweats. That is unfortunate. As of now, I haven't managed to set up the modules to cover a bigger area. If this changes, I trust I will get better results.